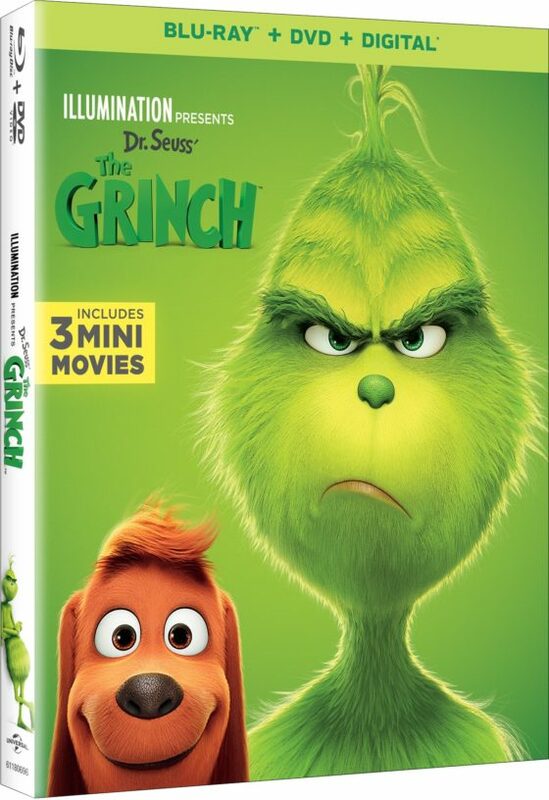 The new home entertainment edition contains more than 60 minutes of bonus content, including three mini-movies: “Dog Days of Winter” starring the Grinch and his heroically loyal dog Max; and “Yellow is the New Black” and “Santa’s Little Helpers,” both starring the lovable Minions. It also includes stunning featurettes, a how-to-draw tutorial and much more. Narrated by Grammy Award® winner and Oscar® nominee Pharrell Williams, Dr. Seuss’ The Grinch stars Academy Award®nominee Benedict Cumberbatch (Dr. Strange, “Sherlock”) as the infamous Grinch, who lives a solitary life inside a cave on Mt. Crumpit with only his loyal dog, Max, for company. The incredible voice cast includes Rashida Jones (“Parks and Recreation,” The Muppets) as Donna Who, Kenan Thompson (“Saturday Night Live”) as Bricklebaum, Cameron Seely (The Greatest Showman) as Cindy-Lou Who, and featuring legendary actress Angela Lansbury (Anastasia, Beauty and the Beast) as the mayor of Whoville. Funny, heartwarming and visually stunning, Dr. Seuss’ The Grinch is a perfect night in for the whole family. Did you grow up on The Grinch? I took my girls to see this in the theater and thought it was so cute! One of the better Grinch films we’ve seen, definitely! I’m so glad this is finally out! 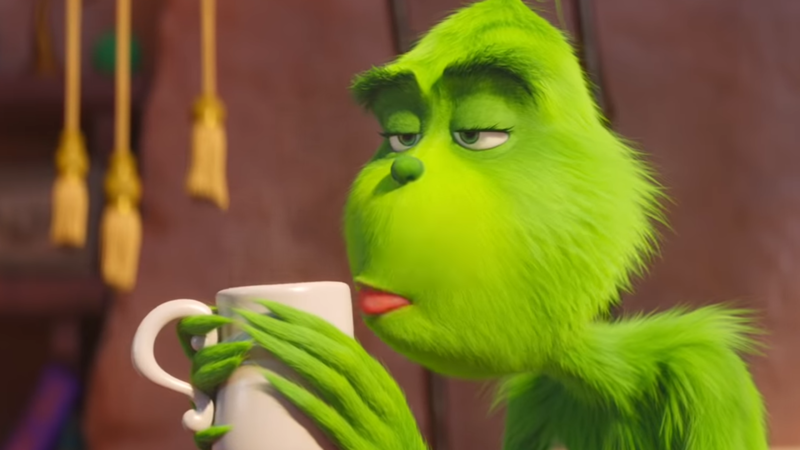 I’ve been waiting on the Grinch ever since we saw it in the theaters (twice). It’s a great movie. I still have yet to see Dr. Seuss’ The Grinch, but love the classic versions. 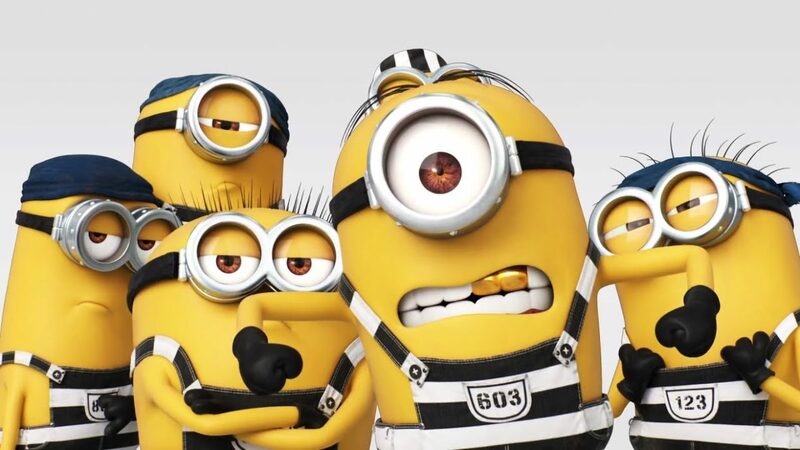 The Minions mini movies seem like a great added bonus too. We’ve been looking forward to watching this take on a classic. Having watched the original and the one starring Jim Carrey, I look forward to seeing how this one stacks up! I can not wait to see this one! This is one of our favorites when it comes to Christmas movies. My kids love the Grinch; we’ve seen every version of the film! They also love anything Dr. Seuss! Can’t wait to see it! My kids and I LOVED the Grinch when we went to see it in theatres this past December. We will definitely be buying the DVD! We just saw this! I loved the colors in this film, and I thought they did a really good job considering there are several Grinch versions out there. And using current music made it perfect! I want to see this with my two little nephews! Oh I love that we can finally make spectacular films like these! i’ll be seeing my nieces and nephews next week and i think they’d really enjoy this! will have to watch it with them. thanks for sharing! The Grinch has been one of my faves ever since! I hope to watch it soon with my nephews! My kids are so excited for this movie to come out on dvd. We need to get our copy. This is going to be a HUGE hit with kids! Their parents will get to watch it again and again. :L) Fun movie! OMG!! I’m a huge fan of the grinch. I tried to watch before Christmas Eve but the tickets at the movies were sold out 🙁 Can’t wait to see it! Thanks for sharing your review. I don’t watch yet this movie. but sounds like beautiful and great movie I will check on this!! Great review! I haven’t seen this yet, but my nieces have and I’m sure they’ll get the digital version too! Oooh this is a great movie for my 4yo. He doesn’t know the Grinch yet but great idea, it’s time to introduce him. The grinch has always been one of my favorites, especially the Jim Carey one. I haven’t seen this one yet but it is on my list now! Oh my!This one looks absolutely amazing! Well, my brothers made me fall for animation movies and I can’t wait to set my eyes on the Grinch! Watched the Trailer and would love to see the movie.. i just started being fond of cartoons recently. I really love all the extras that are on the Grinch DVD. It’s just a part of my childhood and my daughter’s as well. I will have to get this set if only for all of the extras. My son is still scared of the Grinch but he loves the minions. I’m conflicted on if I will get this one yet. I’ve heard so many good things from those who got to see it in the movie theaters.